A workshop on Directions in Statistical Computing, emphasizing the development of software systems and computing environments for interactive statistics. This conference follows on from the successful DSC 1999, 2001, and 2003 conferences at the Vienna University of Technology. 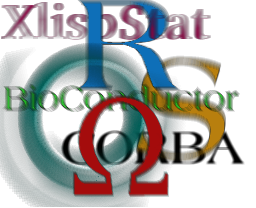 The workshop will focus on, but is not limited to, open source statistical computing. This workshop is sponsored by the R Foundation for Statistical Computing, the Department of Biostatistics, University of Washington, and Insightful Corporation. Proceedings of the workshop will be published on line. Papers for publication in the online proceedings will be due in draft form by 1 August 2005 and in final form by 1 September 2005. Online registration is closed. On-site registration is available, the cost is $350 ($175 for full-time students). The conference will begin with a reception on August 12 and have scientific presentations on August 13 and 14. A timetable for the presentations and other conference activities is available on line.
. Hotels within walking distance of the conference site include College Inn, University Inn, Watertown and University Tower Hotel. The Silver Cloud, University Village is a stiff walk, but has a shuttle bus. The Silver Cloud, Lake Union is close to the Bioconductor conference. We have arranged a 10% discount on Alaska Airlines & Horizon Air, good for travel Aug 9-19 to and from Seattle for DSC2005 To book, call their Groups desk at 1-800-445-4435, 5:30 a.m.-6:00 p.m. (PT) Monday-Friday or 8:00 a.m.-4:30 p.m. (PT) Saturday, and tell them you're attending the DSC 2005 conference, and the meeting ID is CMR8112. August is the middle of Seattle's brief non-rainy season. The typical weather is mild and dry, with maximum temperatures in the 70s (Fahrenheit) and dew point around 50F, sunny after morning cloud. Historical data suggest a 10% chance of rain. (climate data).